Jesus took five loaves and two fish, thanked God for it, and fed 5,000 with it – and had leftovers! Do we trust God with what he gives us? 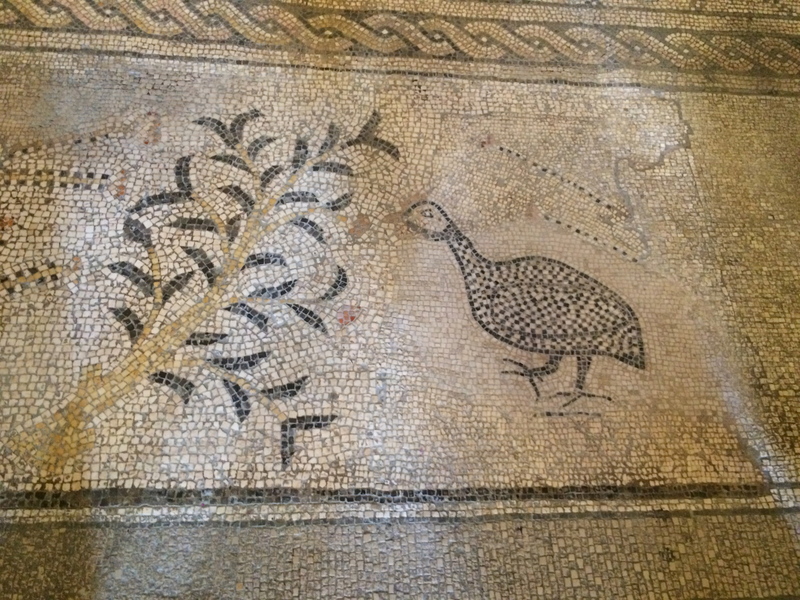 A mosaic in the floor of the Heptapegon, at the Tabgha Benedictine Monastery. The altar in the Church of the Heptapegon, covering the rock on which Jesus blessed the loaves and fish. 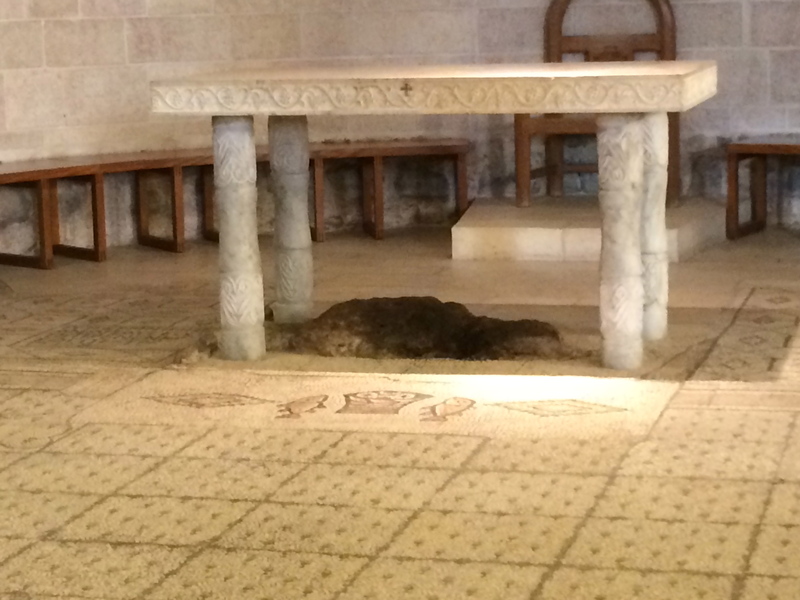 Notice the mosaic of loaves and fish on the floor below. 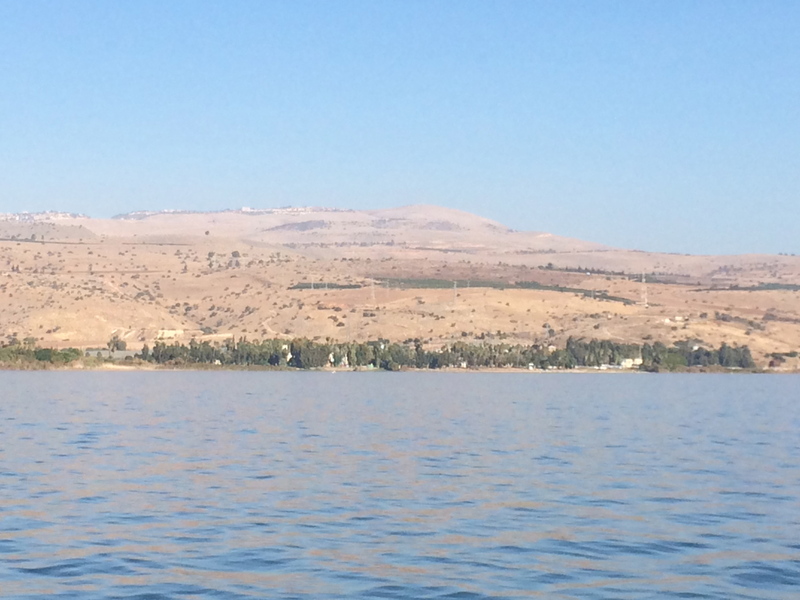 The northwest shore of the Sea of Galilee, looking toward Tabgha.